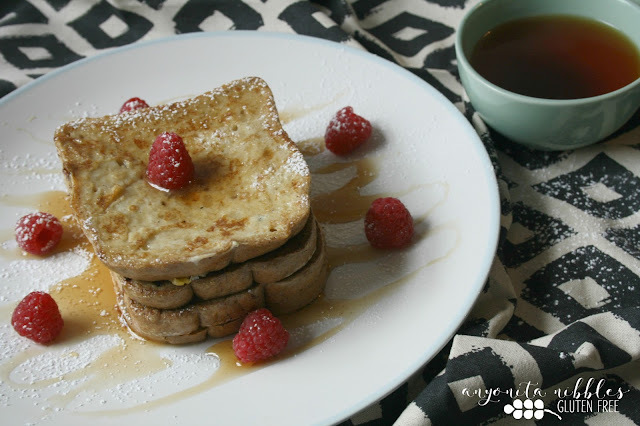 The classic breakfast of French toast or eggy bread gets a gluten free makeover just in time for Christmas! Growing up in the American South, elaborate cooked breakfasts were how you started the weekend and one of my all-time favourites is my mom's French toast. French toast, or eggy bread, as it's called in the UK, is a deliciously simple dish of bread dipped in eggs and pan fried, served with maple syrup and fresh fruit. It works best with slightly stale bread, and given that most gluten free bread naturally has many of the properties of slightly stale normal bread, it works great! This is one of those easy to make yet impressive breakfasts that you could pull out of your back pocket when you have guests or even for Christmas morning. 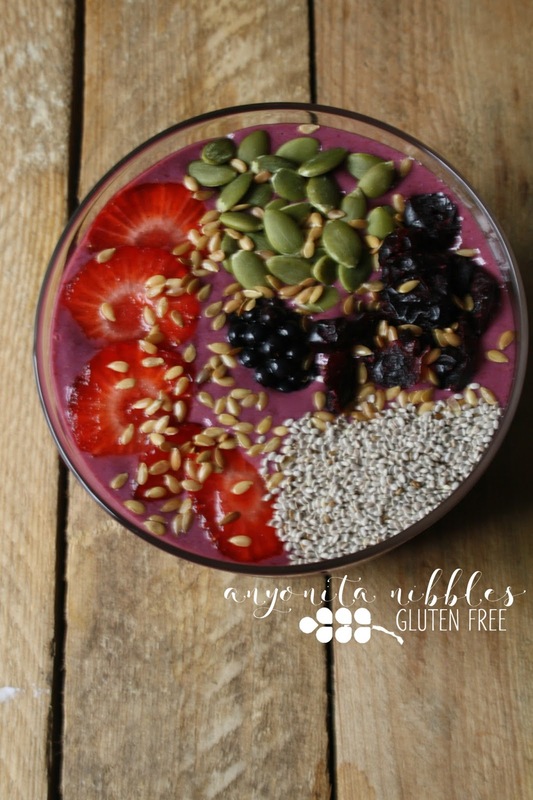 Boost your iron intake with this berry smoothie bowl scattered with chia and flax seeds! This breakfast is one of those feel-good meals that will invigorate and energise you, whilst keeping you full. You'll notice there aren't any measurements given in the ingredients list, just because I believe smoothies should be made with only the things you like -- and as much or as little of them as you want! I made this recipe in my Nutri Ninja, so the instructions call for you to layer the ingredients so that the biggest bits are closest to the blade. If you are using a traditional blender with the blades in the bottom of the container, reverse the order. 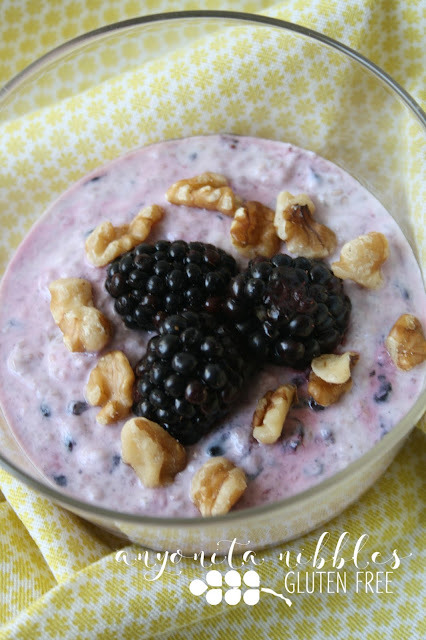 Made overnight, this easy chia pudding is sweet and tart with a touch of honey and ripe blackberries! Breakfast foods are my favourite, but even though I'm a morning person, I don't always feel like getting up and preparing something first thing in the morning. So after I discovered chia seeds, a friend of mine shared with me this revolutionary breakfast of chia pudding. The best thing about it? You just make it up the night before, leave it in the fridge and you can grab it on your way to work. Easy.